ImexSYS is a provider in one on one in home and online computer programming and software development tutoring in the greater Philadelphia area. 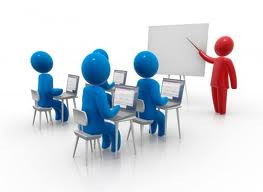 Our tutors are professional, reliable and patient. We offer a unique combination of personalized tutoring, experienced tutors and even online video tutorials for certain subjects. Sometimes reading books and manual or complete a online course just does not cut it. Even the smartest among us, sometimes need someone to explain that esoteric detail of a particular topic or programming concept. Our personalize 1-on-1 tutoring service provides that support. We specialize in individualized and customized lesson plans, no one plan is the same. You tell us what concept you need to learn and we will customize a learning plan for you. We believe that through 1-on-1 attention, either in home or online, can dramatically make a difference in the overall learning experience for students. Our tutors range from computer programming enthusiast and programmers with years of software development experience. If you are interested in our personalize computer programming tutoring service, all you have to do is to contact us by using the form below. We will get in touch in 24 hours to give you an estimate and discuss details. The quote is free and you are not obligated in any way to use our services.